William Shakespeare – The Complete Literary Works of William Shakespeare, 42 plays, poems and The Sonnets from the bard himself. 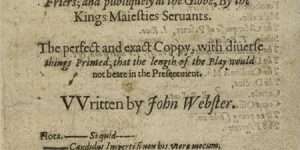 You will also find 11 Plays attributed in part to William Shakespeare and 19 of Shakespeare’s plays/books translated to German. Jane Austen English novelist born 16th December 1775, died 18th July 1817. Known primarily for her six major novels, which interpret, critique and comment upon the British landed gentry at the end of the 18th century. Jane Austen’s plots often explore the dependence of women on marriage in the pursuit of favourable social standing and economic security. Her works critique the novels of sensibility of the second half of the 18th century and are part of the transition to 19th-century literary realism. With the publications of Sense and Sensibility (1811), Pride and Prejudice (1813), Mansfield Park (1814), and Emma (1815) all worthy additions to the Classic Literature Library. She wrote two additional novels, Northanger Abbey and Persuasion, both published posthumously in 1818, and began another, eventually titled Sanditon, but died before its completion. Her novels have rarely been out of print, although they were published anonymously and brought her little fame during her lifetime. 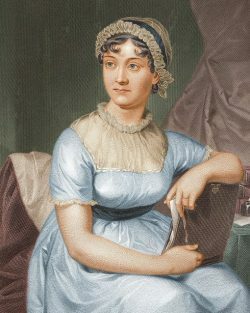 A significant transition in her posthumous reputation occurred in 1869, fifty-two years after her death, when her nephew’s publication of A Memoir of Jane Austen introduced her to a wider audience. 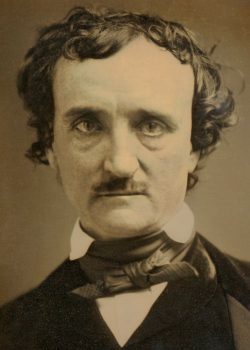 Edgar Allan Poe (1809-1849), American writer, editor, and literary critic. Poe was born into poverty at Boston, January 19, 1809, dying under painful circumstances at Baltimore, October 7, 1849, his whole literary career of scarcely fifteen years a pitiful struggle for mere subsistence, his memory malignantly misrepresented by his earliest biographer, Griswold, how completely has truth at last routed falsehood and how magnificently has Poe come into his own. 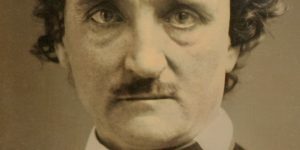 Best known for his poem The Raven (1845) and tales such as The Black Cat (1843), The Balloon-Hoax (1844), The Pit And The Pendulum (1842), and The Unparalleled Adventure of Hans Pfaall (1835). 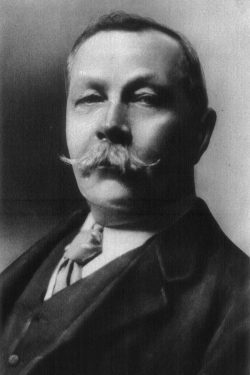 Sir Arthur Conan Doyle (1859-1930), British physician, novelist, and detective-story writer, creator of the unforgettable master sleuth Sherlock Holmes. 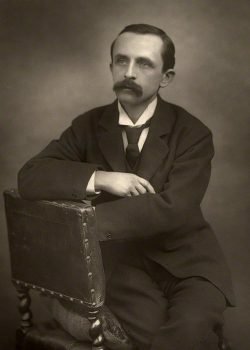 Sir James Matthew Barrie, 1st Baronet, Born May 9th, 1860, Kirriemuir, Angus, Scotland, Died June 19th, 1937, London, England. Dramatist and novelist who is best known as the creator of Peter Pan the boy who refused to grow up. The Peter Pan series includes Peter Pan Play (staged 1904), Peter Pan in Kensington Gardens (1906), and Peter and Wendy (novel) (1911). Abraham “Bram” Stoker, Born 8th November 1847, Dublin, Ireland, Died 20th April 1912, London, England. 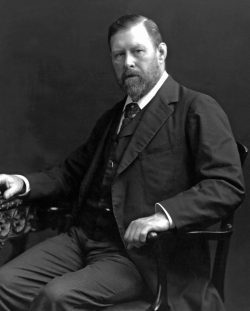 Bram Stoker was an Irish author, best known today for his Gothic adventure novel Dracula (1897), spawning the infamous Count Dracula vampire legend from Transylvania. During his lifetime, Stoker was better known as the personal assistant to the actor Henry Irving and the business manager of the Lyceum Theatre in London (owned by Henry Irving). In 1890 Stoker visited the English coastal town of Whitby, and that visit is said to be part of the inspiration for Dracula. He began writing novels while manager for Henry Irving and secretary and director of London’s Lyceum Theatre, beginning with The Snake’s Pass in 1890 and Dracula in 1897. During this period, Stoker was part of the literary staff of the The Daily Telegraph in London, and he wrote other fiction, including the horror novels The Lady of the Shroud (1909) and The Lair of the White Worm (1911). Jules Verne – The Complete Literary Works of Jules Verne. This French Author is best known for such classics as Around the World in 80 Days and 20,000 Leagues Under the Sea. The Jules Verne site includes most of Verne’s books in both the original French and English translations and we even found a few Dutch translations! King James Bible – The Old and New Testament of the King James Bible, from Genesis to The Revelation of Saint John the Devine what more can we say about this classic religous book. Charles Dickens – The Complete Literary Works of Charles Dickens including the children’s classic Oliver Twist. Charles Darwin – The Complete Works of Charles Darwin’s classic scientific literature, including this British Authors most famous and controversial work in the field of Evolution: The Origin of Species by means of Natural Selection. Mark Twain – The Complete Literary Works of Mark Twain. This classic American Author AKA Samuel Langhorne Clemens is best known for the sequel to Tom Sawyer: The Adventures of Huckleberry Finn (1884). Robert Louis Stevenson – The Complete Works of Robert Louis Stevenson. This Scottish Author is best know for Treasure Island and The Strange Case of Dr Jekyll and Mr Hyde. 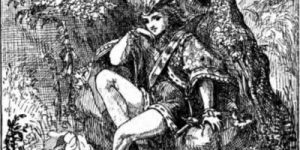 Fairy Tales and Children’s Literature – The works of L. Frank Baum, including The Wonderful Wizard of Oz and the entire Oz series (over 20 books). You will also find the works of Lewis Carroll, including the classic children’s book Alice’s Adventures in Wonderland and Through the Looking Glass. Free Recipes – Currently 75,000 recipes and over a dozen public domain classic cook books including Simple Italian Cookery.